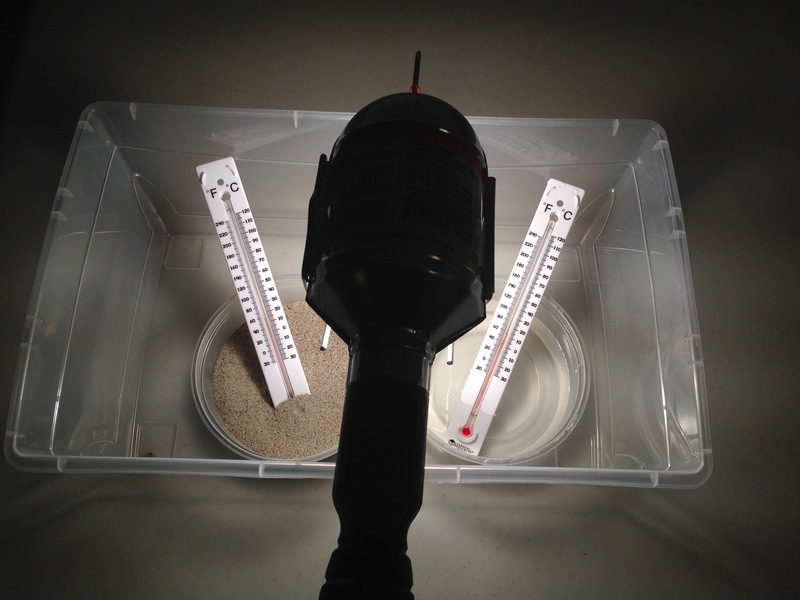 Model the heating of land and oceans on earth using a lamp, sand and water. Measure the temperature rise in each. Add sand to one tub and water to another and place side by side in the plastic box. 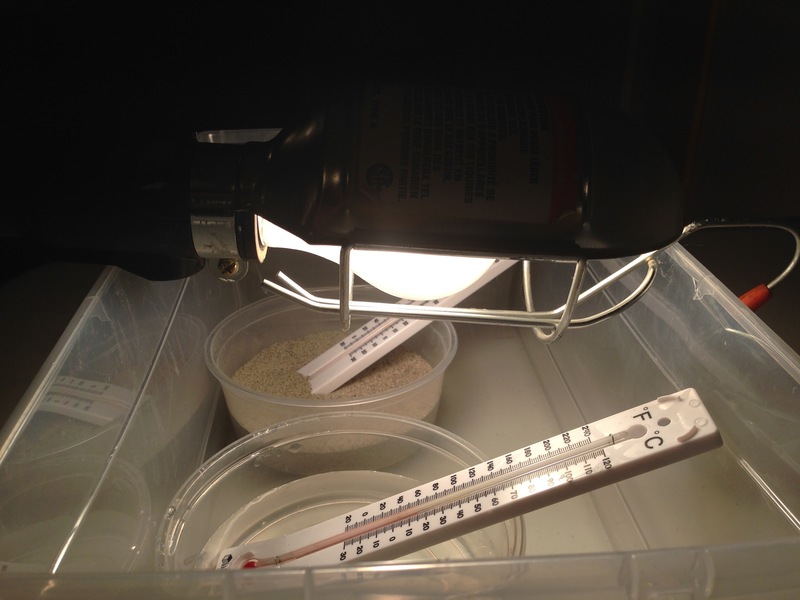 Add the thermometers so that they are submerged in the material, and read the temperature. Lay the light over the box so that it is equally far from the tubs of sand and water. Leave for at least 5 mins, then take the temperature again. Take additional measurements over 20 minutes or more. 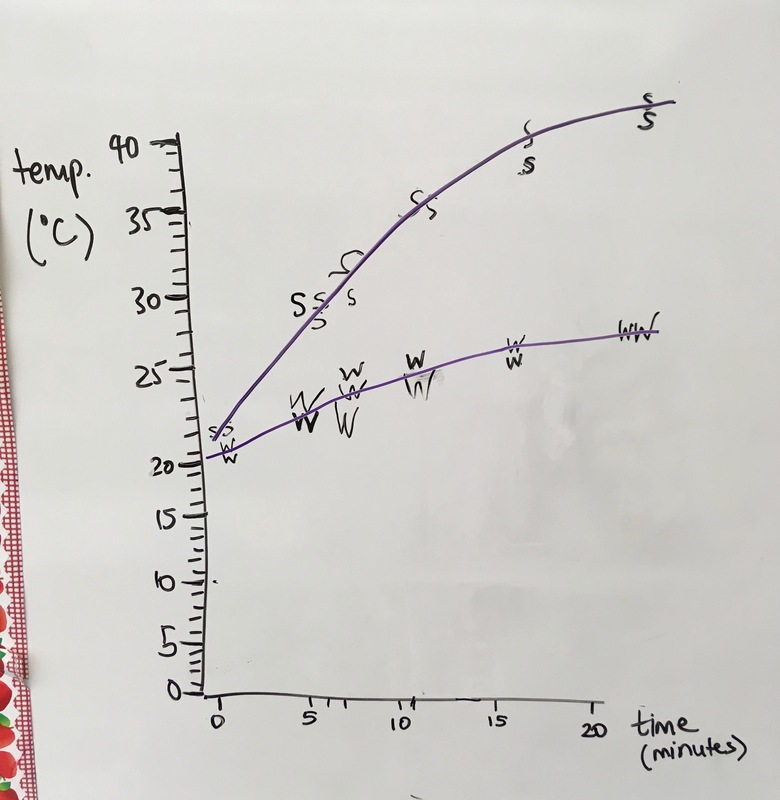 For younger students plot the temperature reading at each time point. 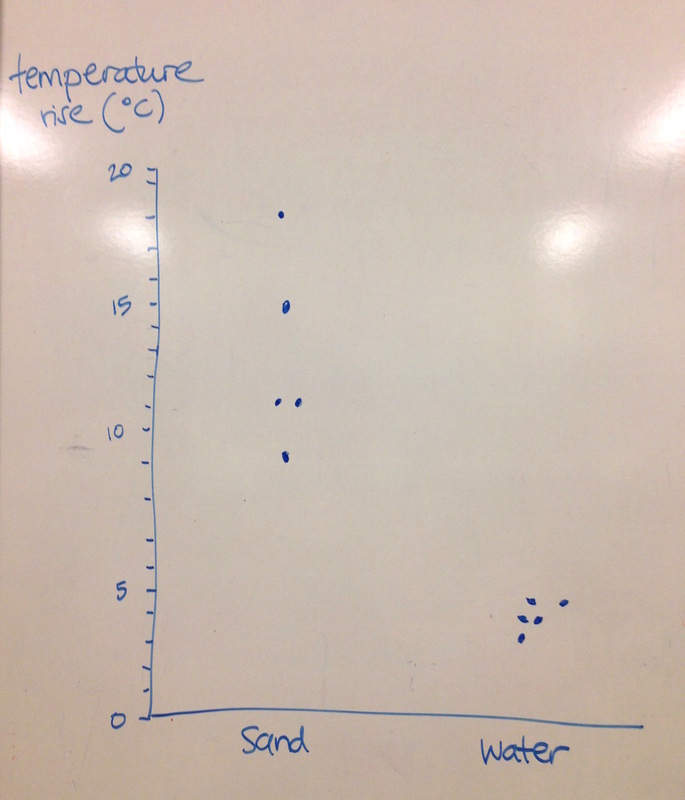 Older students could alternatively calculate and plot rise in the sand and water, then add each as a single point to the graph. Data cleaner this way, but need to understand a rise in temperature. The sand heats up much more quickly than the water. In the same way, then sun heats up the earth's land (especially deserts) more quickly than its oceans, which means that living things in each environment have different adaptations suited to each environment. This difference in heating between land and water also means that the air above the land heats up more than the air above the water, creating temperature differences therefore air movements. Silver lamps with reflective shield way more dramatic than standard desk lamps (more heat from them, yet water temp still rises very slowly). If doing this activity with back-to-back classes, replace the water and sand in the tubs, or make sure there is time for it to cool off (20 mins? ).